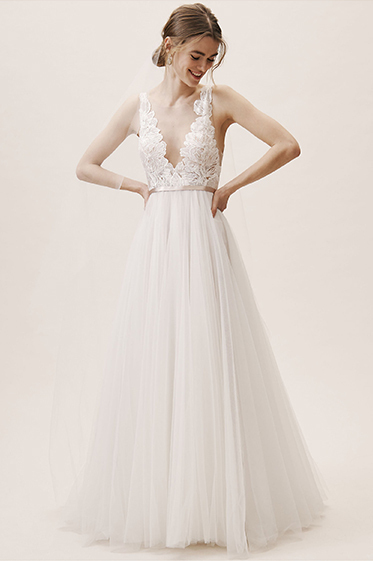 While every BHLDN wedding is different, there is one thing that is always constant: a bride who loves the way she looks in one of our unique wedding gowns. 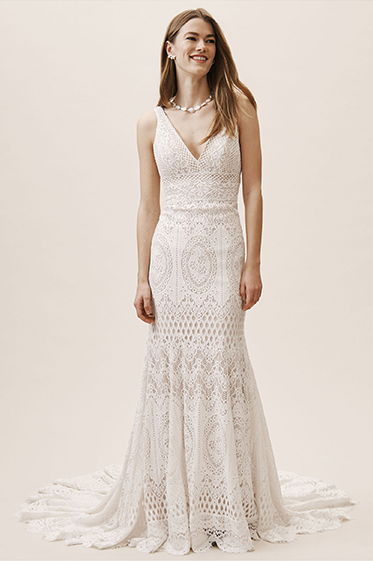 BHLDN, Anthropologie’s wedding collection, is a unique and thoughtful assortment of bridal gowns that you are sure to fall in love with. 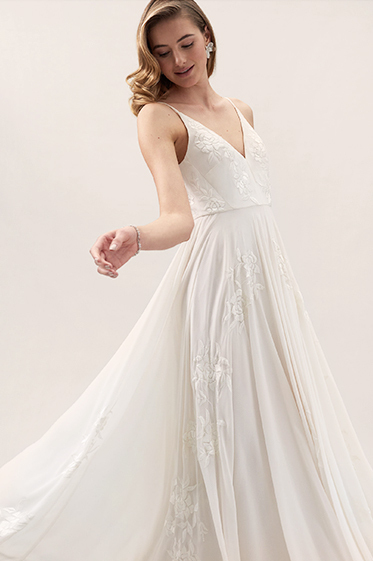 At BHLDN you will find sleek and elegant gowns for the modern bride, bohemian lace dresses for our free-spirited bride, bridal separates for our brides who want to mix and match pieces to create their own looks, and everything in between. We know that not only is your wedding dress important, but you want to impress your guests with your bridal shower dress and rehearsal dinner dress. Our little white dresses are perfect for those occasions, as well as for the bride who wants to switch into something short and flirty for her reception. We also know that unique wedding dresses aren't the only aspect of the wedding day look, which is why we have curated a collection of bridal lingerie, bridal shoes, and bridal shoes and accessories that will complement whatever dress you choose.